I think my lesson would be to not underestimate how impactful something can be until you’ve explored all the angles. 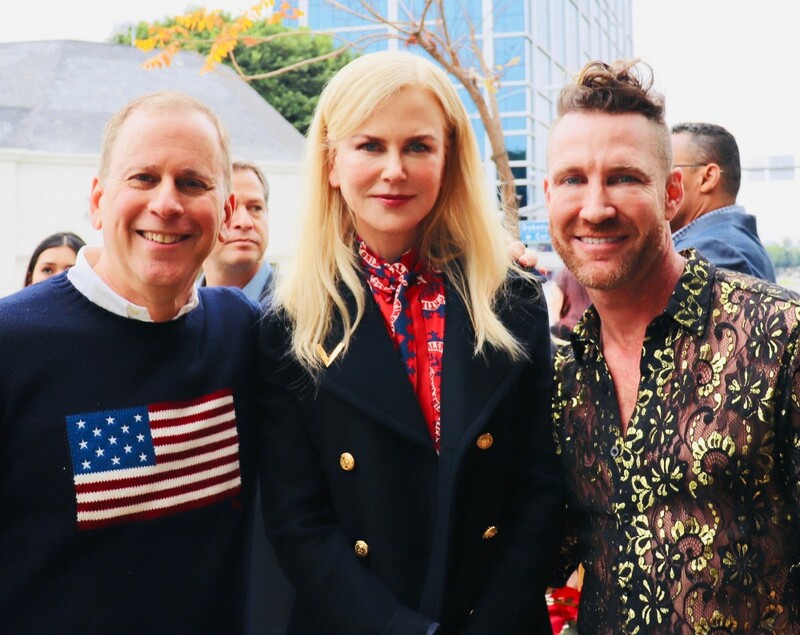 We went to Nicole Kidman as our first host and she graciously accepted. Since then it’s a been a very fun ride as we’ve had more and more huge celebrities and athletes come to support this event. And now this cause of Angel City Sports who I think will become our long term partner. They are so fantastic to work with and seeing the smiles on the kids faces makes it worth all the work. I had the pleasure of interviewing Charley Cullen Walters, head of CW3PR and the co-founder and organizer of “Gold Meets Golden”, along with Cinema Magazine’s Scott Orlin. 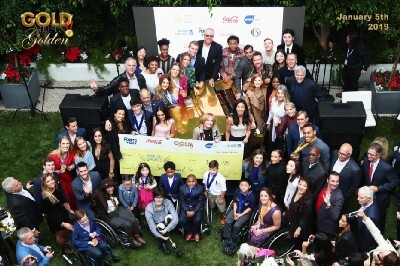 On Saturday January 5, 2019, Los Angeles welcomed some of the greatest athletes to celebrate Hollywood’s most Golden weekend. 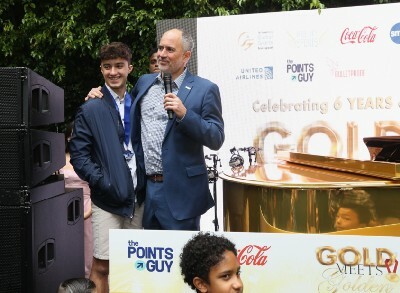 As the longest continuous corporate partner of the Olympic Games, “Gold Meets Golden 6” was refreshed by The Coca-Cola Company. 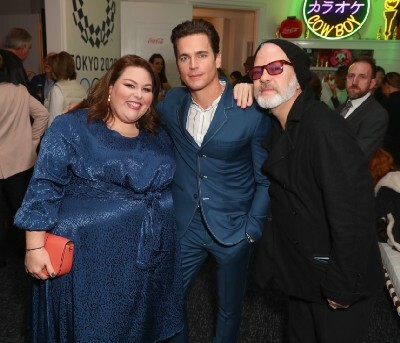 The concept for the daytime brunch began when athletes at the London 2012 Olympic Games were surprised by shout-outs from their favorite Hollywood celebrities, and several of those athletes were invited to Hollywood Awards season. 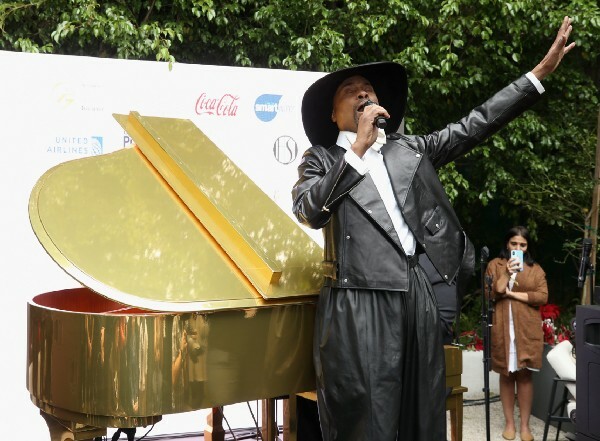 The outcome was “Gold Meets Golden” — a chance for Gold Medalists and other athletes to engage with some of the Entertainment Industry’s best award nominees, and realize how much they inspire one another. 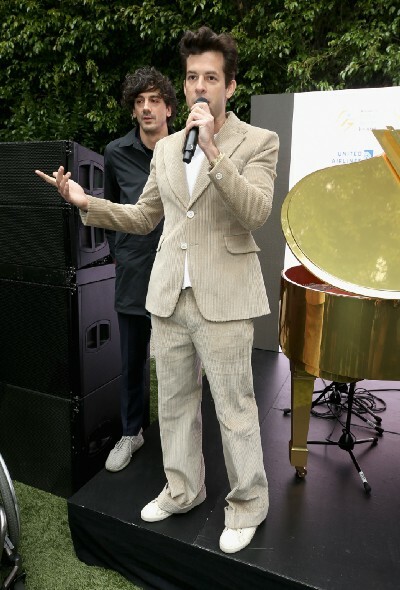 The brunch took place at the House on Sunset. With the recent announcement of the Games’ triumphant return to Los Angeles in 2028, Hollywood has been handed a fresh dose of Olympic Fever. 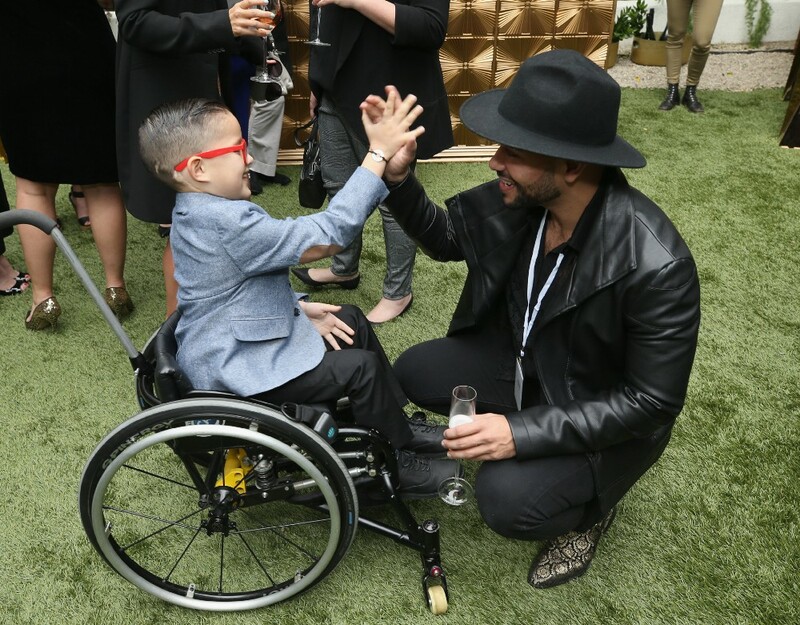 While last year’s Gold Meets Golden celebrated the past, the 2019 event looked at the future by celebrating Youth in Sports. 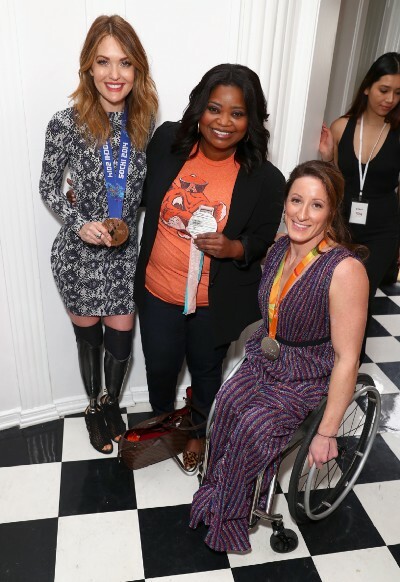 The 6th Annual event benefited Angel City Sports, a leading Paralympic organization in California, with a Friday panel of current, past and future adaptive athletes. 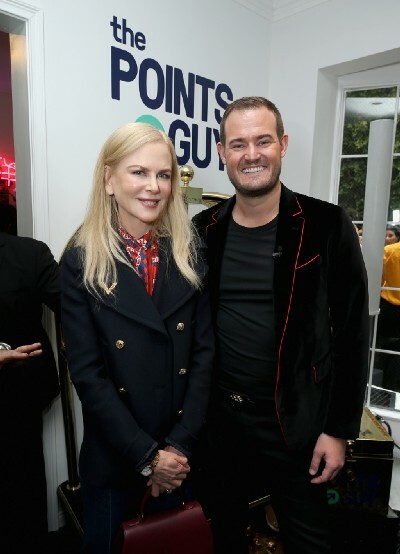 A $50,000 check was also presented by “The Points Guy”. The charity was Founded in June 2013 when Clayton and his son Ezra Frech were on the track at the Endeavor Games in Oklahoma City and asked the question, “Why do we need to come to tornado alley to run, jump, and throw things? Why aren’t there more programs in Southern California?” Shortly after, Angel City Sports was founded with a mission of creating sports opportunities for anyone with a physical disability. 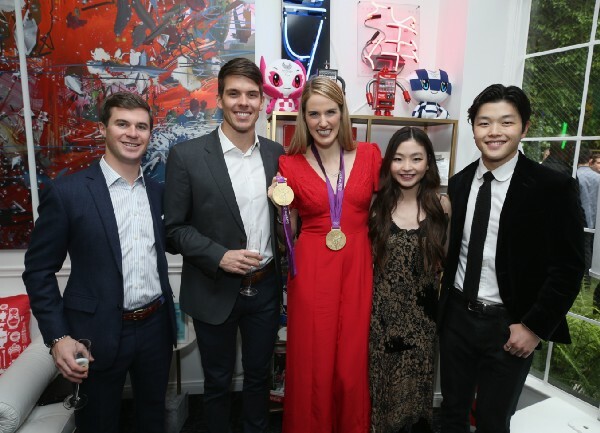 Gold Meets Golden 6 also spotlighted The Foundation for Global Sports Development a leader in the sports community that delivers and supports initiatives that promotes fair play, education, and the physical and developmental benefits of sports for youth around the world. Their division Sidewinder Films promotes this mission to a broader audience through groundbreaking film and documentaries. 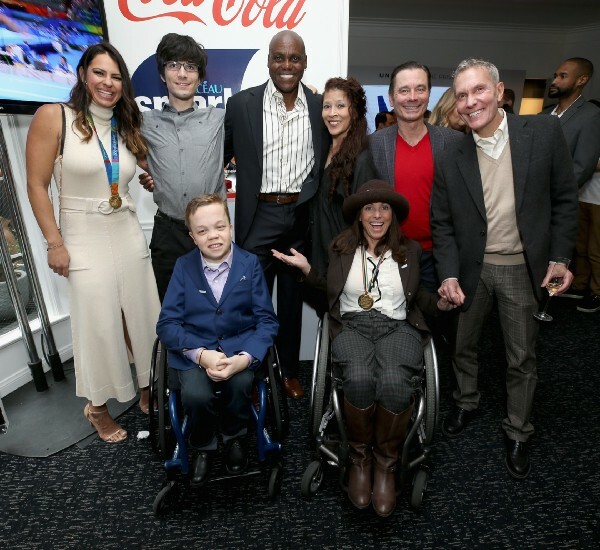 Since then the result has been more that we ever expected, we’ve grown over 6 years to having hosted over 100 Legend and Current Olympic Athletes with over 70 great Hollywood Hosts, and the interactions between them has been great to witness. It’s so neat to see how these 2 industries inspire one another. Can you describe how your firm is making a significant social impact? 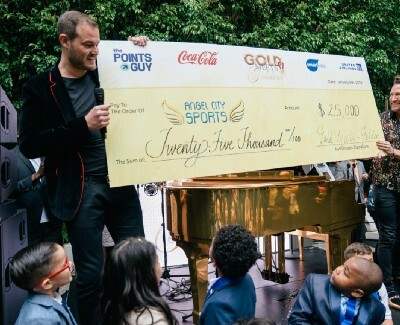 Gold Meets Golden has benefited a variety of charities over the years — from TeamUSA to the Special Olympics World Games when they were here in LA, to now the Foundation for Global Sports Development and Angel City Sports. Angel City is such a perfect organization for us to benefit, as they provide the needed resources, coaching and even equipment to disabled children in the LA area who want to train to be future Paralympic Hopefuls. It’s quite incredible to think that the kids we are all helping this year may go on to compete in the LA2028 Games, coming here to Los Angeles in 10 years! That is certainly a fun full circle element to this partner. “Citius. Altius. Fortius. “ — It’s the Olympic motto and it means Higher, Faster, Stronger. It reminds me that we can always reach further to achieve the peak of the human potential — no matter what industry or location we are in. It kind of epitomizes Gold Meets Golden too. @OlympicChaz and @GoldMeetsGolden — and visit www.GoldMeetsGolden.com for more!